So you’re moving house!? Maybe you already have your completion date or maybe you are still in the early stages of planning, either way at some stage you are going to have to think about all the sorting, packing and cleaning that come with moving. You will also need to consider sourcing your packing materials which if buying new can be expensive and of high environmental impact. With all the additional stresses that come with moving, are these chores really what you want to be taking up your valuable time? Especially when our professional packing service is here to help. We can asses your property and arrive with all the necessary boxes and materials to pack your house. Our professional packers will ensure that everything is packed safely meaning no shattered wine glasses no chipped mugs and a weight off your mind. Removals packing is great way to help make your move day a stress free experience.Whether you’re buying and selling your home or moving to and from rented accommodation, hiring a packing team will give you that little bit of extra time and space to deal with the more important aspects of your move. Get in touch with On The Dot Removals, a Bristol removal company with a difference. The removals industry is undoubtedly responsible for large amounts of waste namely from its removals boxes, wrapping paper and bubble wrap. With an estimated 11% of the UK population moving house every year one can easily see how this really adds up. If removal companies and individuals are using brand new removals boxes, wrapping paper that is not 100% recycled and bubble wrap that is not biodegradable the environmental impact is going to be quite significant. If you would like to ensure that your home removal packing services are not contributing to this impact then look no further. 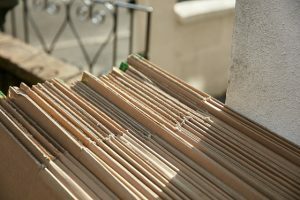 We supply re-used cardboard boxes, we only supply packing paper which is sourced from 100% recycled pulp and bubble wrap which is biodegradable so doesn’t take up landfill space. What’s more if you would like to do the packing yourself we have re used removals box packages that we can deliver to your door step at a time time that suits you. Make a difference by using the number one Bristol removals company who really considers their environmental impact.